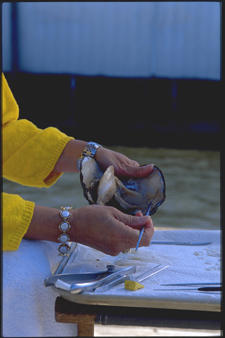 Freshwater pearls, the only gemstone from animal origin, may be found growing in the waters of the Tennessee River Freshwater Pearl Farm in Benton County. John Latendresse (1925-2000) began attempting to culture pearls in the fresh waters of North America approximately 25 years ago. Over 300 bodies of water were tested for ideal conditions before the final selection of the initial eight pilot locations to begin attempts at culturing. Success levels were measured and compared. It was determined that the prime location for productivity was only five miles from his home, in the placid embayment of Birdsong Creek in Camden, TN. Gina Latendresse, daughter, who is now president of American Pearl, said that it had been stated at one time to her father, “there is no way you'll be able to start a pearl farm in the United States.” “He was bound and determined to do just that,” said Gina. John wasn't always supported in his efforts in growing pearls, but in 1986 he had his first successful harvest. 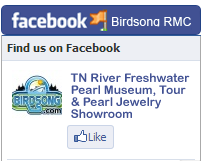 Today the Freshwater Pearl has the prestige of being the official gemstone for the State of Tennessee . The mussel the animal used for culturing freshwater pearls is native to the Tennessee River. The two species most frequently used in the culturing process are commonly referred to as the Washboard and Pigtoe varieties. Mussels are gathered by local divers from the murky river bottom and sold to the pearl farm operation. They are then placed in an environment to stabilize their equilibrium. Those that survive are taken to a controlled environment, for implantation. Skilled technicians surgically implant an irritant or nuclei into the mantle of tissue of the mussel. 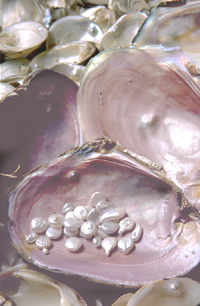 Nuclei used by Tennessee River Pearl Farm are made from the mother-of-pearl shells. The interior of a mussel is a compilation of Nacre, the same animal secretion that forms a pearl. Nuclei can be any shape or size to pre-determine the shape of the end pearl product. Tennessee produced freshwater pearls are grown in many different shapes to accommodate the demands of the fashion industry. Coin, baroque, marquee, spherical, triangle, or even hearts are among a few of the most popular shapes used gems in designer pieces. Mussels will only live about three to eight hours out of the water, so the implantation process must move rapidly. Technicians can implant as many as ten nuclei in each mussel depending on the size and age of the mussel. 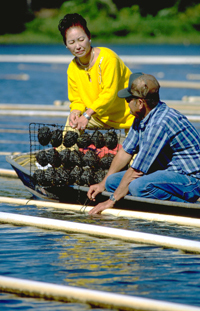 Other farms across the world may implant up to 50 nuclei per mollusk but The Tennessee River Freshwater Pearl Farm sets limits to ten per a mussel for an overall higher success rate of 95%. Technicians implant nuclei and mussels are placed into baskets in groups of eighteen. Each basket is coded with a numbered tag, similar in appearance to a duck band. The band contains a numerical coding that tells the pearl farm manager when they were implanted, when they are due for harvest, what shape the pearls are, and which technician did the procedures. They are then suspended 18 inches below the top of the water dangling from American-made “bamboo” also know as PVC pipe. The mussels are left for 18 months to three years depending on the quality that is desired. The mollusk is a bi-valve whose only purpose in life is seemingly to clean or filter water. They consume the tainted water of the river and expel it repeatedly, possibly moving one foot a year. Occasionally a foreign object like a fish tail, parasite or even it's own eggs get caught into the foul-smelling meat of the mussel and can not be expelled. The imbedded item becomes an irritant to the mussel and the animal must protect itself. It secretes nacre, as a defense mechanism. The nacre gives the pearl its iridescent shine or luster. The amount of nacre secreted by each mussel is different. The Black Lisp Pearl mussel secretes one to seven layers of nacre per day, verses the Washboard that produces only about 0.2 mm in the first six months. The Freshwater pearls vary in natural color with various shades of white, cream, yellow, orange, green, blue, purple, rose, gold, gray, silver and black and brown. Some colors are considered to be rare, more attractive and desirable than others. Although there is no universal agreement on what color a perfect pearl should be, white seems to have becomes the time tested classic. There are about 300 different species in the mollusk family each producing different colors of the gem. In general, a mollusk produces a pearl that is the same color as its interior. Certain chemicals in the waters may cause a variance in the final color. Japanese use hydrogen peroxide to remove any spots of discoloration. They also use other short cuts that were not approved of by the founder of cultured pearls, Mikimoto (1858-1954). Mikimoto produced his first semi-spherical pearl in 1893. Years of efforts seemed wasted when the “red sea” killed all of his implanted crops. The “red sea” is an abnormal change in plankton life, actually changing the sea to appear red in color. One of the major problems that it causes is to marine life in the effected area. In desperation, he locked himself in his laboratory with the entire farm of dead mollusks. January of 1905, he found his first positive product, a perfectly spherical pearl. In many ways Latendresse and Mikimoto had the similar opinions on pearl production, produce a good quality pearl and build a flawless reputation. These two men shared the desire of keeping the standards of pearl culturing at its highest levels. Today, Japanese growers are exporting lower-quality pearls that have very little nacre on them. The result of producing something with a thin layer of nacre is the gems will actually crack over a period of time. Japanese officials say that any pearl that doesn't pass inspection can only be sold in Japan or destroyed, but in relaton to other standards of quality in the pearl industry, the Japanese pale in the comparison. Many low-grade pearls are still arriving on American shores from Japanese exporters. Mussels native to the Tennessee River have a quality that is unlike most species. The actual shell of the animals is of a greater thickness than those found anywhere else in the world. Tennessee has in excess of 50 million dollars in annual exports to foreign countries of the shells alone. Other countries acquire the thicker American mussel shells to create their nuclei. All freshwater pearls, whether from China, Japan, Tahiti, Taiwan or other countries in the southeast, most likely originated with a seed from the Tennessee River Mussel shells. Latendresse passed away in 2000, leaving his legacy for his family to continue. His wife Chessy, daughters Gina and Renee, and son J.K. are involved with the on-going operations of the American Pearl jewelry facet of the business. The farm is now in the possession of Robert G. Keast, owner of Birdsong Resort, Marina and Campground in Camden, TN. The farm still is working, growing and producing the pearls Latendresse founded in North America. Pearls are a symbol of purity, chastity and feminine charms. A good pearl displays a delicate luster that has been appreciated throughout history. Elizabeth Taylor received “La Peregrina,” the famous pearl found by a slave off the coast of Panama in 1510. Balbo brought it back to Spain. The white 17 mm pearl was passed through a succession of royal hands before Richard Burton bought it for $36,000 in 1969 as a Valentine's Day gift. Richard Burton had “La Peregina” set into a full necklace by Cariter, which includes pearls from the American Farm. Joe Dimaggio presented his bride, Marilyn Monroe with a strand of Mikimoto freshwater pearls. This strand can be seen around the star's neck in the now-historical photographs. A great number of famous personalities hold the freshwater pearl in a high regard, as have many others over the course of history. For many centuries royalty has adorned crowns, robes and trinkets with the freshwater gem. The Tennessee River Freshwater Pearl Farm is a unique hidden secret down the back roads of Benton County on the waters of Birdsong Creek. The working farm hosts a tour May though October that takes visitors to the farm where they witness a pearl emerge from a mussel. Tourists learn all about the process from implantation to the finished product. 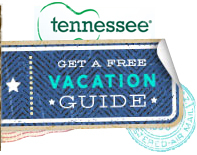 The freshwater pearl farm attracts visitors from around the world and may be found in the demographic study for Tennessee's Top Fifty Attractions in the top 20, with over 300,000 people visiting annually.